Lewis Hamilton pointed the finger at Sergey Sirotkin over the incident which threatened to strip the Mercedes man of his 10th pole of 2018 at the Brazilian Grand Prix. Hamilton was quickest of all at Interlagos, but faced an anxious wait to see if Stewards would summon him over an incident that forced Sirotkin to take evasive action on the grass. Hamilton was not the only driver with post-quali nerves – Sebastian Vettel could lose P2 after he destroyed the FIA's weighbridge in his impatience during Q2. The incident came in the same session that Sirotkin almost rear-ended Hamilton. 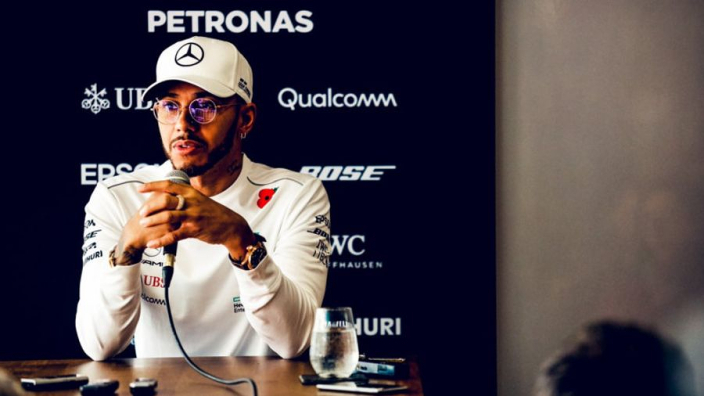 At first glance it had appeared Sirotkin was on a flying lap, however it was later confirmed that the Williams man was not on a timed effort, which changed Hamilton's outlook on the matter. "Everyone was on an out-lap," said Hamilton. "Me, Sergey and everyone in front of me. "So I went left, but he was going left. But he wasn't on a lap, so I don't know what his thinking was. "We all know to keep a gap. It was a disrespectful move. I was trying to get out of his way and then he got to the corner and slowed up. "It was kind of strange. It was completely unnecessary because behind him there was a bit of a space so ultimately his lap and my lap weren't great so hopefully he can learn from it."